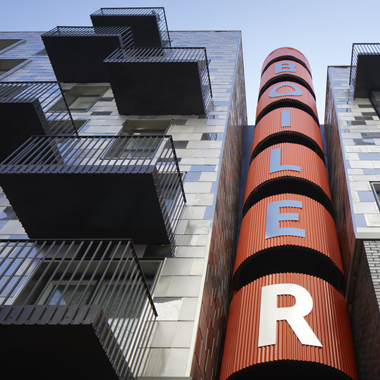 Trafalgar Place comprises 30 residential units in Southwark, forming part of the larger regeneration of Elephant and Castle. 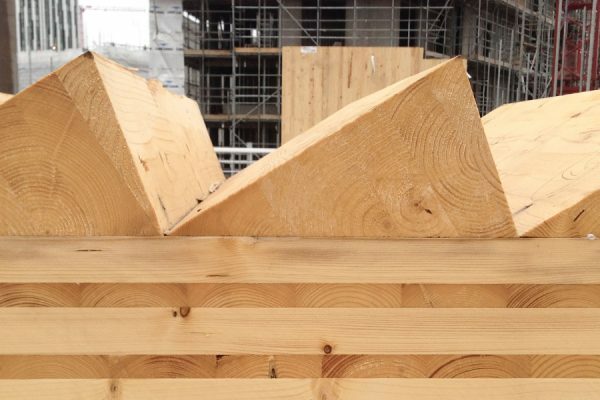 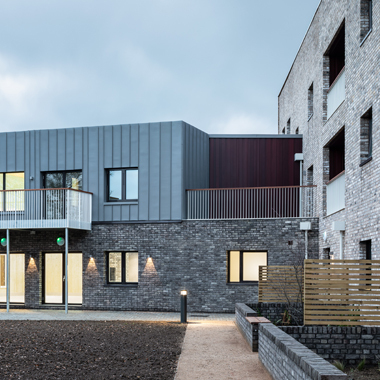 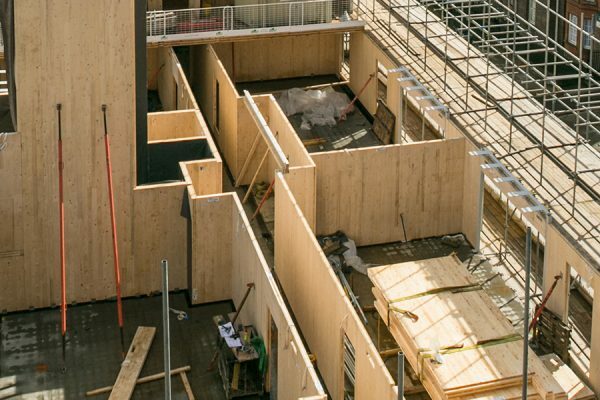 One of the four new residential blocks arranged on this tight urban site is built using cross-laminated timber. 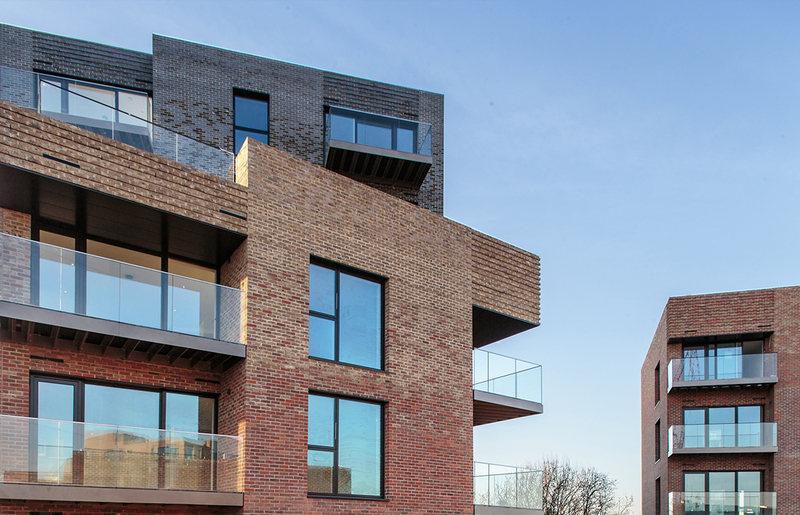 The linear solid timber block rises between two to three storeys, and is built above a two-storey concrete structure housing duplex residential units. 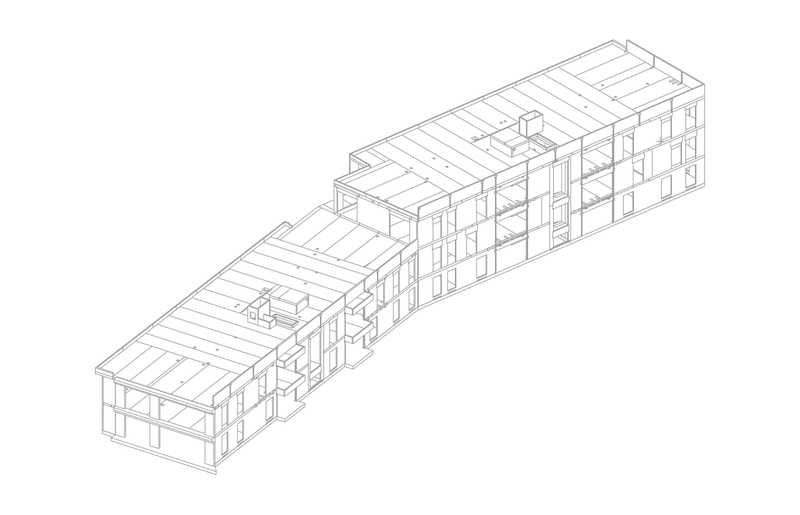 The one and two bedroom apartments are accessed from a central corridor, and the communal stairwells have exposed CLT walls and soffits.